A couple of weeks ago I finally made the trek to the nearest MAC store to recycle my empties, otherwise known as the Back to MAC program. Do you know about this? If not, here’s the scoop. If you have 6 or more empty containers that qualify for the Back to MAC program (usually their primary packaging) then you just bring them back to a MAC counter and exchange them for a lipstick. If you bring them back to a MAC store you can exchange them for a lipstick, eyeshadow or Lipglass! I had TONS to exchange, which I had been gathering up for well over a year or maybe two. Normally you can only exchange 24 items at once, but I had a friend with me who exchanged some for me. 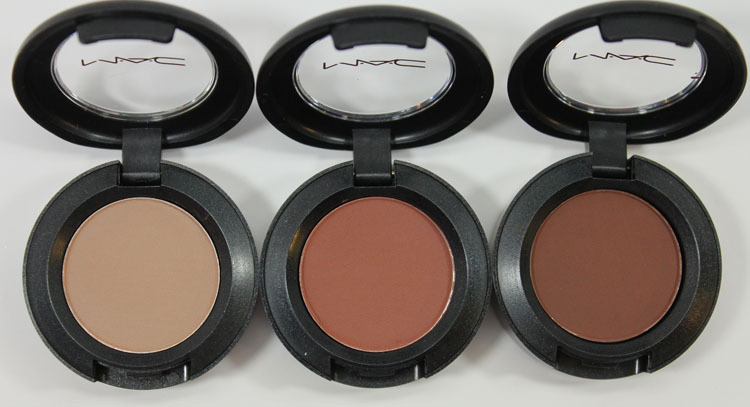 I knew I wanted some basic eyeshadows because I am actually lacking in this category with MAC. Most of what I have are brights and more “fun” shades. I had this whole list of ones I wanted and had been carrying it around with me forever. But of course the day I decided to exchange them, I didn’t have my list! I went through all the neutrals and decided on these seven. Turns out only three of them were on my list, but luckily I didn’t wind up getting any that I already had (which is a danger when you have a gazillion eyeshadows and can’t remember the names of any of them). I think all of these are really great neutral shades and ones that the vast majority of people could wear. Wedge is a soft beige taupe matte. Soft Brown is a light peachy brown matte. Concrete is a medium taupe brown satin. 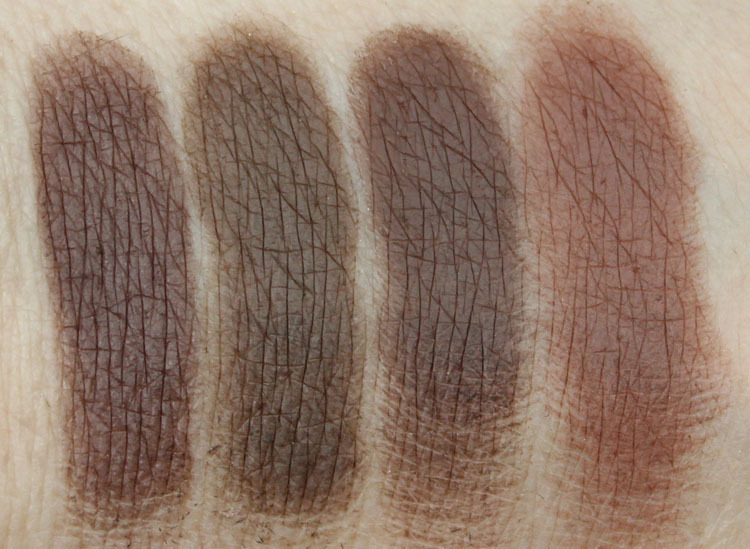 Handwritten is a deep chocolate brown Matte2. Espresso is a deep golden brown matte. Brown Down is a medium reddish toned brown veluxe. I don’t see this one on the MAC site right now, not sure if it’s LE? Swiss Chocolate is a reddish brown matte. Overall: Over a primer these all swatched rather nicely. I especially love the cool-toned shades, but really do like them all. 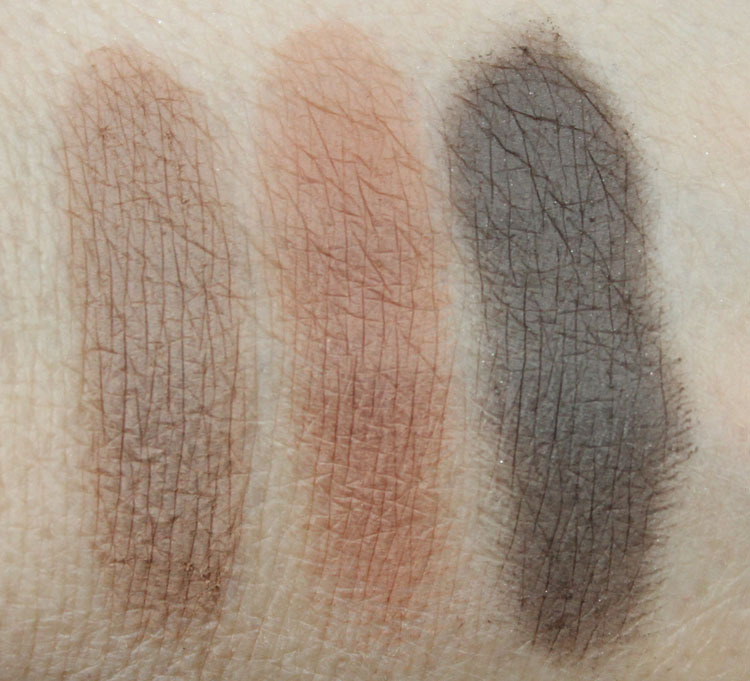 I find myself gravitating more towards these kind of eyeshadows shades and finishes now that I am, ahem, of a certain age. Super shimmery bright shades don’t necessarily look the best on aging hooded eyes. Some of the other ones that were on my list which I didn’t get are Quarry, Blackberry, Kid, Ground Brown and Corduroy. I still want to pick them up one day. Do you have any of these shades? 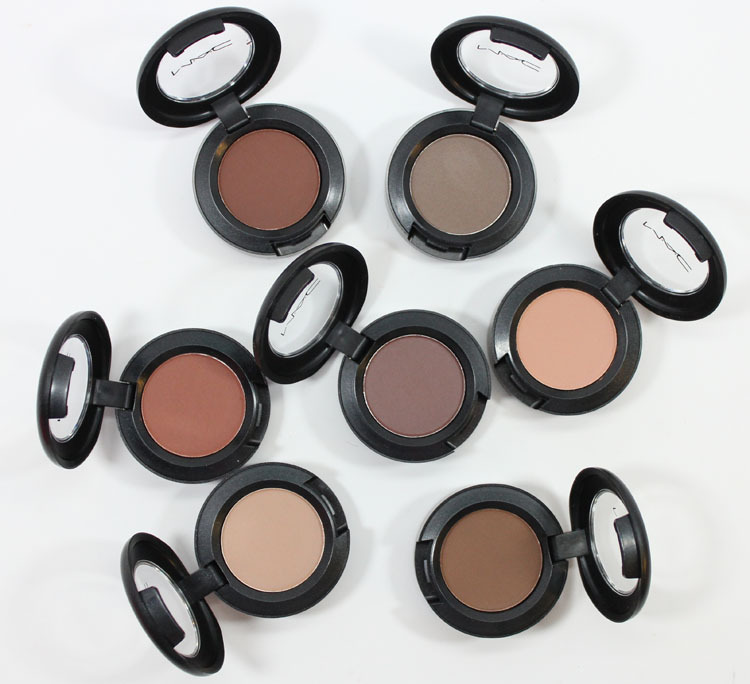 What are some of your favorite neutral MAC shadows?